Altonia Epps Brown was born on July 14, 1947 to the late Arthur Tony and Thelma E. Epps in Baltimore, Maryland. After a brief illness, she transitioned from this life on Thursday, October 18, 2018 at the University of Pennsylvania Hospital in Philadelphia, Pennsylvania. On April 18, 1975, Altonia was united in holy matrimony with childhood sweetheart and love of her life, John Burton Brown. They are the very proud parents of one daughter, Alma Yvonne Rice of Aldan, Pennsylvania. Altonia was a devoted housewife and her very own “Betty Crocker.” She enjoyed preparing meals and making her famous “cold platters” for the sick and shut-in or “just because.” Altonia loved gardening, traveling and shopping at her favorite stores, Macy’s and Food Lion. Whenever going out with “Miss Al”, she finagled her way to Red Lobster for the best coconut shrimp. Altonia attended Salisbury Elementary and Salisbury High School. She was a graduate of Wicomico Senior High School in Salisbury, Maryland. After completing her formal education, she was employed by Sacred Heart Hospital as a medical transcriptionist for approximately 20 years. 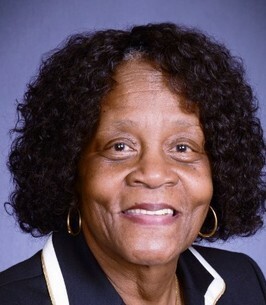 She retired in 2013, after 33 years from Crozer-Chester Medical Center and serving as an Emergency Room Registrar. Altonia joined and was baptized at an early age at St. James A.M.E. Zion Church in Salisbury, Maryland. She served on the usher board until relocating to Chester, Pennsylvania. After moving to Delaware, she joined Union Baptist Church on November 8, 2009. Under Pastor McAdoo’s leadership, Altonia was confirmed Deaconess on November 10, 2013. She was very passionate about her service in this ministry. She also served in the Tillers as well as the Women and Ushers Ministries. She was an avid Bible study student. Her love for children led her to become a church school teacher. Altonia loved her Pastor and her Union Church family. She was preceded in death by her parents; sister, Marie Bell and brother, Eugene Epps. Altonia leaves to cherish her memory her loving husband of 43 years, John Burton Brown; daughter, Alma Yvonne Rice (Anthony); granddaughters, Candace Clark, Courtney Clark and Syderra Rice; great-granddaughter, Azierah Rice Holder; sisters-in-law, Harriet Epps, Patricia Williams (Calvin), Geraldine Lee (David), Wanda McIntyre (Jerome), Sheila Dougherty (Lawrence); and a brother-in-law, William E. Handy, III. 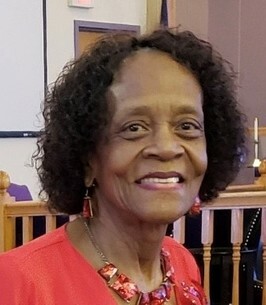 She is also survived by nieces, Thelma M. Orr and Sherry L. Corbin (Kevin, Sr.); special sisters, Ardie Stribling and Debra Byrd; lifelong friend Gwendolyn Young and a host of nieces, nephews and friends. To send flowers to the family of Deaconess Altonia Epps Brown, please visit our Heartfelt Sympathies Store. We encourage you to share any memorable photos or stories about Deaconess Altonia. All tributes placed on and purchased through this memorial website will remain on in perpetuity for future generations. I have so many pleasant memories of you that I have no room for tears. Just knowing that when you told me you were ready to go home to be with the Lord; that's what you were going to do. You will be missed, but the fun memories will carry me through. To Mr. John, Lucky & Family: Ms. Al was such a special lady. We will truly miss her calls, her loving smile and her sweet spirit. May God comfort and strengthen each of you during this difficult time.